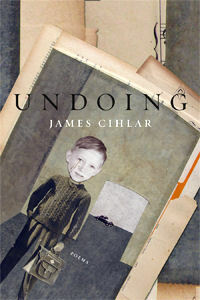 Poet and writer James Cihlar is the author of the chapbook Metaphysical Bailout (Pudding House Press, 2010) and the poetry book, Undoing (Little Pear Press, 2008). Cihlar's poems have also appeared in Prairie Schooner, Bloom, Minnesota Monthly, Northeast, The James White Review, Water-Stone Review, Mankato Poetry Review, Plain Songs, and many other magazines and reviews. His work has been included in the anthologies Aunties (Ballentine, 2004), Regrets Only (Little Pear Press, 2006), and Nebraska Presence (Backwaters Press, 2007). Cihlar is also the former editor of Nebraska Humanities. He is the recipient of a Glenna Luschei Award from Prairie Schooner and a Minnesota State Arts Board Fellowship for Poetry. He lives in St. Paul, Minnesota. The program begins at 2:00 PM Sunday, April 17th in the Heritage Room on the 3rd floor of Bennett Martin Public Library in downtown Lincoln. Please join us. We look forward to an interesting reading.